Queensland – this magnificent part of our country isn’t called the sunshine state for no reason. Boasting more sunshine hours in winter than any other area in Australia, Queensland is the obvious choice for anyone wanting to escape the long, dark season down south. It abounds in national parks with breathtaking scenery, beautiful campgrounds and a vast array of native wildlife so there’s no shortage of places to visit. 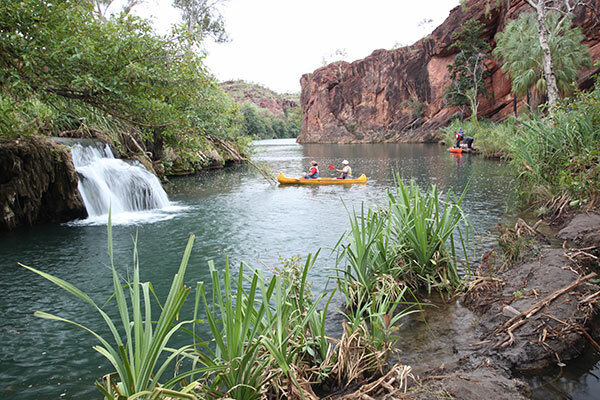 Boodjamulla (Lawn Hill) NP is a place of awe-inspiring beauty, with Lawn Hill Creek winding its way through steep sandstone cliffs and cascading down majestic waterfalls. The magnificent landscape can be experienced on a challenging bushwalk or by jumping in a canoe. The Island Stack walk involves a steep track to the lookout where a 1.7km walk takes you around the ‘table top’ for impressive panoramic views. An easy walk to the Cascades leads you to tufa formations where you can swim in the cool spas. Where: Located 220km south-west of Burketown, and 340km north-west of Mt Isa. Camping: Camping is available in the national park - bookings are necessary from April to October. Facilities include toilets and cold showers (no generators allowed). Fees are $6.15 per person per night or $24.60 per family per night. To travel along the Matilda Highway is to step back in time and experience the rugged Aussie outback. Few towns in Australia have a history that has touched the people of an entire nation. It was in Winton that Banjo Paterson wrote the ballad Waltzing Matilda which, for many people, typifies the Aussie spirit and is considered Australia’s unofficial anthem. The town of Longreach is home to the Australian Stockman’s Hall of Fame which pays tribute to the people of the outback. 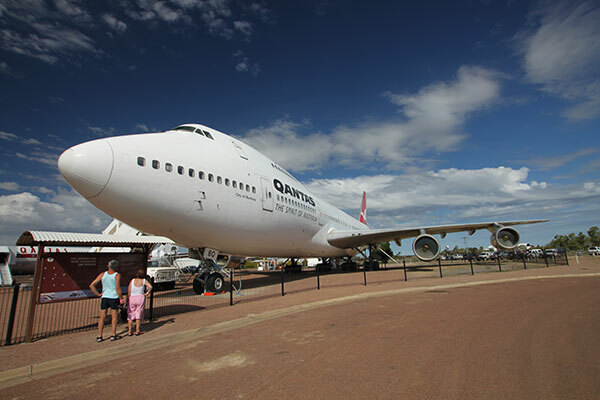 Longreach is also the only town in the world where you can tour a fully operational 747 jumbo jet and experience a wing walk on this giant of the sky. Camping: Camping is available all along the Matilda Way with caravan parks in each town. The Atherton Tablelands is home to World Heritage rainforests, impressive mountain ranges, cascading waterfalls, jungle-fringed volcanic crater lakes and spectacular natural scenery, all within a day’s touring. From what is claimed to be the most photographed waterfall in Australia, Millaa Millaa Falls, to the historical tin mining town of Herberton, the first town on the Atherton Tablelands, it is an area to explore and experience. From Herberton it is only a short drive to Mt Hypipamee Crater National Park, where a short walk takes you to the crater, a huge volcanic vent hole that plunges 120m to the water, itself a further 70m deep. Where: The region incorporates the townships of Yungaburra, Malanda, Millaa Millaa, Ravenshoe, Herberton, Atherton and Mareeba. Atherton is located in the centre of the Tablelands, about 80km from Cairns. 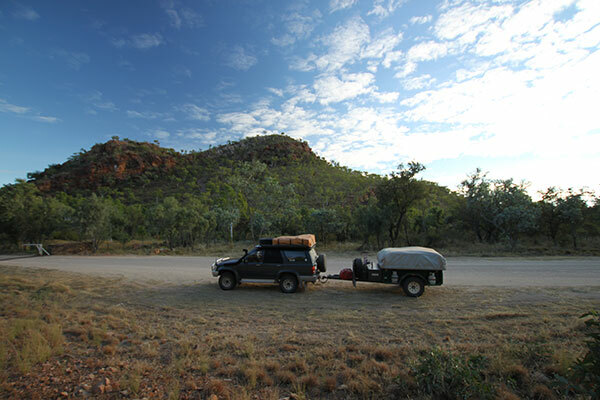 Camping: There is plenty of camping, including five bush camping areas at Lake Tinaroo, about 12km from Atherton. 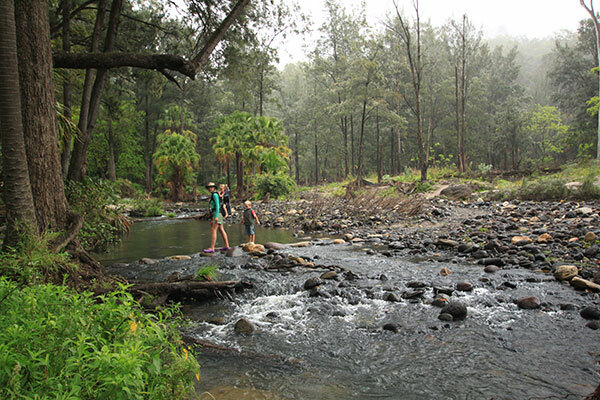 These campsites must be pre-booked by phoning 13 74 68 or visiting www.npsr.qld.gov.au. Camping fees apply ($6.15 per person or $24.60 per family per night). A trip to Carnarvon Gorge in Carnarvon National Park is a memorable offroad adventure which starts as soon as you enter the park. Numerous creek crossings have to be navigated while the white towering cliffs in the distance whet your appetite for a true bush camping experience. Bushwalking is the only way to explore this rugged landscape. The 10km return walk to the majestic Amphitheatre is a must - hidden inside the walls of the gorge is a 60m deep chamber, gouged from the rock by running water. Shorter walks are the 3km return walk to Mickey Gorge and the one-kilometre return walk to Baloon Cave where you’ll be treated to Aboriginal art. Where: Carnarvon Gorge is 241km south-east of Emerald and 244 km north-east of Roma, in south-east Queensland. Camping: The national park campground provides unpowered sites and is only open during Easter, winter and spring Qld school holidays. Facilities include coin-operated hot showers and flush toilets. Sites must be pre-booked (($6.15 person/night or $24.60 per family/night). 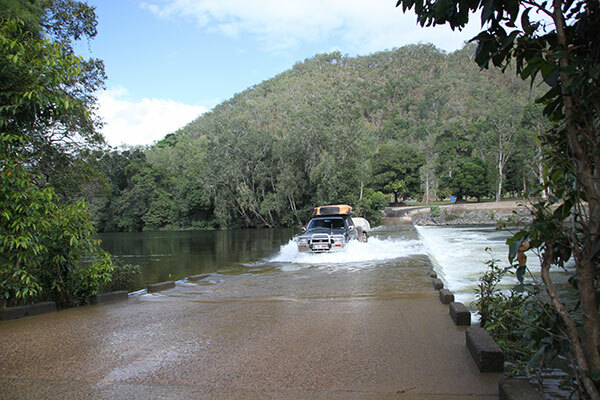 The Bloomfield Track is a 4WD adventure through some of the country’s most unspoilt rainforest and across crystal clear creeks. Accessed via Cape Tribulation in the south or the Mulligan Highway in the north, this iconic offroad adventure covers only 69km but you need to allow a good part of a day to fully experience this unique Top End landscape. The track is extremely steep in sections though the most challenging parts have been sealed. A visit to the historic Lion’s Den Hotel is an absolute must and you might want to consider camping here overnight as it is a beautiful spot. The Bloomfield Falls are well worth a look, especially after heavy rain. Where: The 4WD track starts north of Cape Tribulation in far north Queensland. 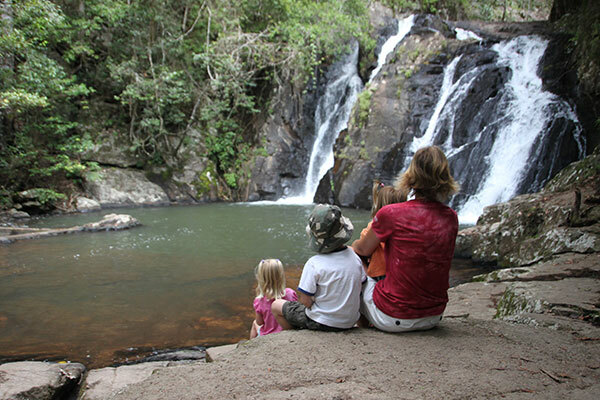 Camping: The Lion’s Den Hotel is located 28km south of Cooktown.